Till next Monday, July 5. The quality of our lives is not necessary to make the Word of God true or endue it with spiritual power--the Word is inherently true and powerful--but by our lives we can either add static or provide clear channels to the Bible's instruction. We should not let present, legitimate demands for authenticity and transparency convince us that Christ's call to godliness is old-fashioned or ineffective. . . .
Piety is not passe. While no one wants sanctimonious religiosity, God's people need to know the gospel is real and frees us from our sin. The cacti of trendy biblical scholarship tend to send me back to the redwoods of the past, men like our friend pictured to the right here. Found this tonight in his sermon 'It Is What May Well Make Us Willing and Desirous to Go with God's People, That God Is with Them' (try getting that on your Sunday morning bulletin). Typical Edwards. Wonderful. God is with his people as they have fellowship and communion with God and as they are partakers with God in his good, possessing infinite good, and those are partakers with him in the same excellency and happiness. God communicates himself to his people. He imparts of his own beauty. They are said to be partakers of the divine nature (2 Pet 1:4). They are partakers of God's holiness (Heb 12:10). So God communicates to his people of his own happiness. They are partakers of that infinite fountain of joy and blessedness by which he himself is happy. God is infinitely happy in himself, and he gives his people to be happy in him. . . .
That grace and holiness, that divine light and love, and that peace and joy that is in the hearts of the saints is a communication from God. Those are streams, or rather drops, from the infinite fountain of God's holiness and blessedness. 'Tis a ray from the fountain of light. Just finished Hearing the New Testament: Strategies for Interpretation, edited by Joel Green (2d ed, Eerdmans, 2010). Helpful stuff I guess. Thanks for your hard work, gentlemen (and Holly). Can't help but scratch my head, though, about (on the one hand) the semantic pessimism some biblical scholars commend about accessing the Bible's meaning combined with (on the other) the semantic optimism these same scholars assume about their readers' ability to access their own work. How would some of these guys feel about my reading their essays with the caveat ever on my mind that they are socially located in a different place than me, wondering to myself at each page-turning what personal and historical baggage they bring to their laptops, incorporating a hermeneutic of suspicion lest I be unwittingly duped by their hidden misogyny or androcentrism, and reminding myself frequently that I as the reader am producing (not merely receiving) meaning as I read? Let's treat the Bible with the reverence it deserves. With one possible exception Richard Bauckham is, in my opinion, the most fascinating New Testament scholar writing today. Clarity of writing, sobriety of judgment, persuasiveness of argument, originality of proposals, mastery of the literature, and--O rarest of gems among neutestamentlers--theological sanity. Here's a statement on Psalm 110:1 ("The LORD said to my Lord, 'Sit at my right hand . . .'"), cited all through the NT (Bauckham suspects Hebrews is itself a sustained exposition of this single text) but completely ignored in Second Temple Jewish literature. Early Christian theology developed mainly through the exegesis of the Scriptures, which was both traditional in method, pursued with the exegetical expertise of Jewish learned exegesis, and frequently novel in its results, since it was deployed to interpret events, understood as decisive eschatological acts of the God of Israel, which did not neatly conform to any existing Jewish expectation. One remarkable datum in the exegetical development of early Christology is that verse 1 of Psalm 110 is the verse of the Hebrew Scriptures to which christological allusion is most often made in early Christian literature. . . .
Psalm 110:1, perhaps the most foundational text for the whole configuration [of key OT texts drawn upon in the NT christologically], was a novel choice. . . . The explanation of its role in early Christology, contrasted with its absence from Second Temple Jewish literature, is that, for early Christians, it said about Jesus what no other Jews had wished to say about the Messiah or any other figure: that he had been exalted by God to participate now in the cosmic sovereignty unique to the divine identity. The root of faith can never be torn from the godly breast, but clings so fast to the inmost parts that, however faith seems to be shaken or to bend this way or that, its light is never so extinguished or snuffed out that it does not at least lurk . . . beneath the ashes. Two settled convictions. One, courage. Two, leave the results up to God. What if, under God and nestled firmly into the gospel, we resolve that this week, the fourth week of June 2010, a week we'll never get to rewind and do over, we were to go forward in unhindered courage and happily leave the results up to God? Let's do it. It will be mistaken for pride by some, others will misperceive our motives, some will think it legalistic. A few might find something igniting within them as they observe your faith. Whatever happens, God will multiply it a hundred fold in mostly invisible ways that we won't see till we're with Him. The default mode within each of us is timidity and self-protection. It's death. Look at God and shed your cowardice, so easily disguised as prudence. If God is God, and the Bible is truth, the prudent thing is risking everything for Christ. Courage, and leave it with him. I began to fast twice a week for thirty-six hours together, prayed many times a day and received the sacrament every Lord's Day. I fasted myself almost to death all the forty days of Lent, during which I made it a point of duty never to go less than three times a day to public worship, besides seven times a day to my private prayers. Yet I knew no more that I was to be born a new creature in Christ Jesus than if I had never been born at all. Dan Orr points us to a fascinating Wall Street Journal piece and illuminates the clear connection with the gospel. Generally law tends to remain the dominating reality and grace dwindles off into the status of a pious fiction. After all, we have to do something, don't we? . . . In the place of all such schemes, in the place of the conditional thinking that always traps us, we must put the absolute simultaneity of sin and righteousness. When God acts upon us with his grace, with his justifying deed, his pronouncement, we become simul justus et peccator, simultaneously righteous and sinner. . . . When the word of promise comes or begins to dawn on us, our reaction is 'I can't believe it! You mean that's all?' . . .
Grace is the divine pronouncement itself, the morning star, the flash of lightning exploding in our darkness which reveals all truth simultaneously, the truth about God and the truth about us. He that has attained to the greatest height of literature, yet if he has nothing else--if he have not Christ--is as much under the curse of blindness, ignorance, stupidity, dullness, as the poorest, silliest soul in the world. . . . The more abilities the mind is furnished with, the more it . . . strengthens itself to act its enmity against God. All that it receives does but help it to set up high thoughts and imaginations against the Lord Christ.
. . . I hope I shall not need to add anything to clear myself for not giving a due esteem and respect to literature, my intention being only to cast it down at the feet of Jesus Christ, and to set the crown upon his head. Hell is full of people who believe they deserve to be in heaven. Heaven is full of people who believe they deserve to be in hell. Tom Schreiner's Magnifying God in Christ: A Summary of New Testament Theology is a very helpful resource. It's a 2010 abbreviated form of his 2008 900-page New Testament Theology. Two things prompt me to mention it. One, this summary volume is much meatier than I expected when I ordered it. While extensive argumentation and footnoting have both by necessity been left behind, there's real substance to the volume--it isn't merely a 'summary' as we normally think of that word. I expected it would be appropriate for adult Sunday School and too thin for a college text; actually I think it's appropriate for a college text and too much for adult Sunday School. Two, Schreiner has three emphases around which he writes: the glory of God in Jesus Christ, the inherent trinitarianism of the NT, and a salvation-historical framework which sees the NT as the culmination of all the ancient promises and hopes of the OT. Love it. Thanks for serving us all in this way, Dr. Schreiner. This is the second volume in the Theology in Community series edited by Robert Peterson and Chris Morgan and published by Crossway. I find just about everything Dr. Gaffin writes refreshing and illuminating; this is the most instructive piece in the volume, for me. He has actually helped me turn a big corner in my understanding of Paul and eschatology and resurrection, especially in conjunction with Greg Beale, but that's another post. Thanks for this, Dr. Gaffin, and keep it coming. And thanks for the good series, Drs. Peterson and Morgan. You're serving us well. And it's great to see a Reformed Presbyterian who wrote a dissertation on Calvin and a Baptist with a PhD from Mid-America Baptist Seminary work together on theologically serious stuff, united together in a love for the gospel, Christ, and the church. From Jerram Barrs' wonderful book on evangelism, wonderful not because it gives new insights so much as old reminders. Scripture teaches us that God resists the proud but gladly receives the humble. Humility is to be a lifelong attribute, not simply the attitude of our hearts when we first come to Christ. Every day we are to remember our own need of God's mercy, the problems and failures in our own lives, rather than making ourselves blind to our own sins by concentrating on those of others. . . . Even biblical knowledge can make us proud, not because sound biblical knowledge is a problem, but because of the pride in our hearts that clasps on to anything that will help us to feel a little better about ourselves than about our fellow believers. I had a few classes with Jerram while a student at Covenant Seminary; he lives what he writes about here. Thanks for the reminder, brother. God is arrayed with an infinite brightness, a brightness that doesn't create pain as the light of the sun pains the eyes to behold it, but rather fills with excess of joy and delight. Indeed, no man can see God and live, because the sight of such glory would overpower nature, . . . 'tis because the joy and pleasure in beholding would be too strong for a frail nature. According to Edwards, it isn't God's holiness that would incinerate us. It's the joy that would erupt within us that we can't handle. In reflecting on the strange objections and odd misunderstandings and striking displays of the very thing he was warning against in my dad's wonderful post this past week, I'm struck by my own and others' inability to discern between concern for the truth and concern for being right. One cares about God's honor, the other about mine. Yet what we assume to be truth-concern as we type our blog comment and hit 'submit' (a more inappropriate verb could not have been picked) is often self-concern. How easy it is to act on that sense of truth-violation we perceive in others when it wells up within us, yet the intense emotion of that moment may so easily--so, so easily--simply be a desire that we be seen to be right. It's alarmingly natural to pass off cantankerous or scoffing comments as concern for truth when really it is just a form of self-vindication. So true! And not only Paul--the apostle was a boy scout with his language compared to Ezekiel. The culture in which we live certainly devalues objective truth. I cringe at the thought of truth-whittling Kumbaya-singing hand-holding Rodney King-echoing creed-demoting confession-neglecting lowest-common-denominator fluff. That's about as attractive to me as Dennis Rodman in high heels and lipstick. But if our deepening knowledge of God and grace in all its doctrinal contours creates in us, imperceptibly perhaps, impatience or frustration with other believers, it is not knowledge of God and of grace that fuels our frustration and snide tone but concern for being personally right. It is sin. Paul said that if we have all knowledge and all faith but lack love, we are nothing. What if we made every blog comment mindful of that? If you define yourself as Reformed (whatever you say that means) yet find within yourself, as I often do, an impulse to vehemently correct others doctrinally, will you join me in questioning of your own heart whether it is an urge to defend the truth or an urge to defend your own rightness? I need to grow in this and I invite you to join me. By the way, at my own discretion I'll be deleting any comment on this post that I deem unedifying. There are enough platforms for theological hotheads already out there without providing one more here. A Bit of Tinkering with the Blog . . .
. . . over the next several days (weeks?) as I experiment with different templates, etc. Thanks for bearing with me. The URL will not be changing. A good gospel word from my brother Eric. The great discovery for me was that the attack does not last forever. It is the devil's lie that the only escape from the temptation is through yielding. After prolonged resistance it will go away: what seemed yesterday impossible to turn one's mind from will today be utterly unenchanted, insipid, tedious. Justification by sanctification is man's way to heaven. . . . Sanctification by justification is God's. Discipleship to Jesus was not like discipleship to a Jewish rabbi. The rabbis bound their disciples not to themselves but to the Torah; Jesus bound his disciples to himself. The rabbis offered something outside of themselves; Jesus offered himself alone. Jesus required his disciples to surrender without reservation to his authority. . . . This relationship had no parallel in Judaism. Discipleship to Jesus involved far more than following in his retinue; it meant nothing less than complete personal commitment to him and his message. The reason for this is the presence of the Kingdom of God in Jesus' person and message. In him, people were confronted by God himself. Schlatter: What Caused the Outrage against Jesus? [T]he attack against Jesus was mounted, not owing to the harshness of his demands, but owing to his forgiveness. Not the harsh but the gracious element of the call to repentance incited the Galileans against him, not the fact that Jesus called Capernaum evil and impure but that he completely overlooked sin in his dealings with those who repented. This resulted from the fact that the inner situation of the Jewish community was determined by Pharisaism. The consciences were awake, sin was feared; there was a readiness to do difficult things and to suffer for God's sake. 'What is God's work in order that we might do it?' they asked, reay to undergo whatever he might demand (John 6:28). This zeal, however, was interwoven with a concept of righteousness that rejected grace. [A] young man who fervently loves God, although adorned with limited gifts, will be more useful to the church of God with his meager talent and academic achievement than a vain and worldly fool with double doctor's degrees who is very clever but has not been taught by God. [W]e must not fret about not doing God those supposed services which He in fact does not allow us to do. Very often I expect, the service He really demands is that of not being (apparently) used, or not in the way we expected, or not in a way we can perceive. 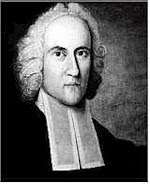 Our friends at Desiring God are beginning a trek through Jonathan Edwards' little-read but consistently fascinating Miscellanies, pulling out some gold for the rest of us. Thanks guys. Looking forward to this 330-page treasure coming out next month. Two days ago Greg Beale and his wife Dorinda flew from Chicago to Philadelphia, where he will, Lord willing, spend his last and most fruitful season of ministry at Westminster Seminary. Walking to the downtown Wheaton Starbucks the day before he left, a friend and I ran into Dr. Beale, also on his way to Starbucks, and spent some time together talking about the Lord and how to serve him with all our minds. A fitting final memory. The two greatest academic privileges of the past three years have been, one, writing a dissertation on Paul under Doug Moo, and two, spending time with Greg Beale. Dr. Beale helped me put the whole Bible together in Spring 2009. I now read passage after passage with new eyes. He has done a world of good to a generation of students, communicating the treasures of Scripture not only in what he said but how he said it. My dad told me of the reverent intensity with which Dr. Beale exegeted the Bible when they were first-year Greek students together at Dallas Seminary. That wonderful love for the Scripture has not waned. He has stood up for currently unpopular aspects of evangelicalism this past decade, heedless of personal cost. He has served his students, his institution, and his God, with courage and strength. Wheaton's loss. Westminster's gain. The Lord be with you, Dr. Beale. Christ is a refuge in all trouble; there is a foundation for rational support and peace in him, whatever threatens us. He, whose heart is fixed, trusting in Christ, need not be afraid of any evil tidings. From current Christian publications, you might think that the most vital issue for any real or would-be Christian in the world today is church union, or social witness, or dialogue with other Christians and other faiths, or refuting this or that ism, or developing a Christian philosophy and culture, or what have you. But our line of study makes the present-day concentration on these things look like a gigantic conspiracy of misdirection. Of course, it is not that; the issues themselves are real and must be dealt with in their place. But it is tragic that, in paying attention to them, so many in our day seem to have been distracted from what was, is, and always will be the true priority for every human being--that is, learning to know God in Christ. [I]f man is to find mercy, Christ alone must be the means. He alone makes us paupers rich with His superabundance, expunges our sins with His righteousness, devours our death with His life, and transforms us from children of wrath, tainted with sin, hypocrisy, lies, and deceit, into children of grace and truth. Whoever does not possess this Man possesses nothing. O Christian friends, do not make bargains with God. If you do, you will get only your bargain; but if you leave it to His grace, you will probably get more than you ever thought of. From a February 2009 Wheaton College chapel.